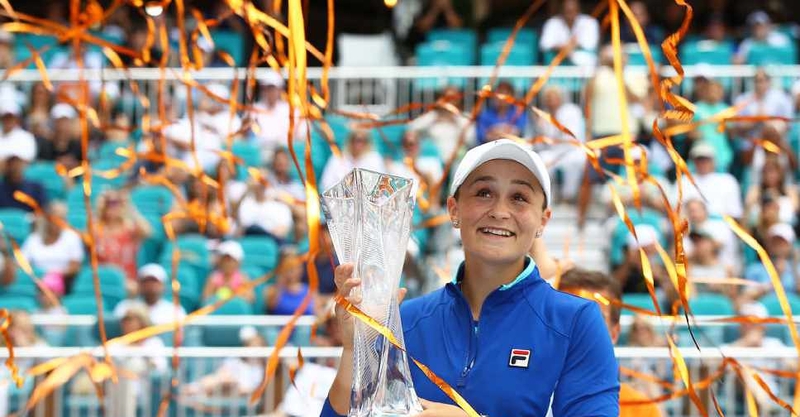 Australia's Ashleigh Barty has beaten former world number one Karolina Pliskova in Miami to claim the biggest singles title of her career so far. The 22-year-old won 7-6 (7-1) 6-3 to move into the world top 10. "I’ve had a very unique journey. It’s been two or three years since I’ve been coming back to the sport and I’ve had some heartbreaking losses but some pretty amazing moments, too," Barty said after accepting her $1.3 million cheque.